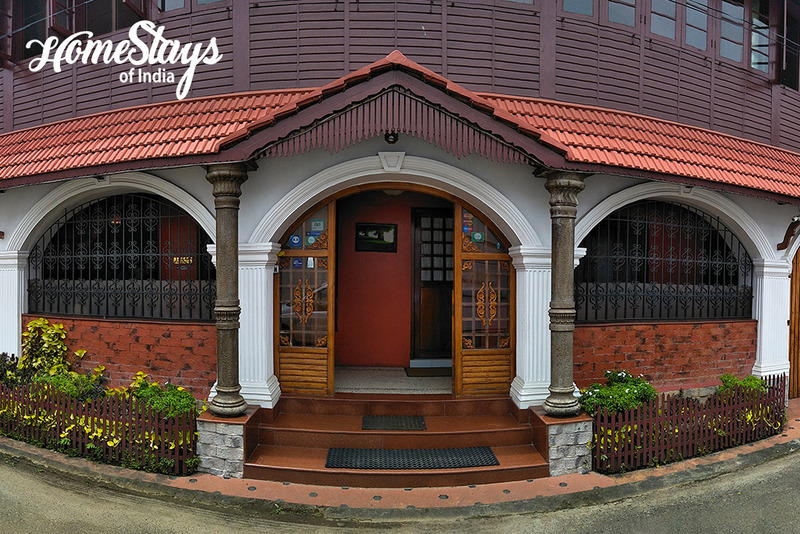 Fort Kochi is a quaint little town that has an old world charm. The streets are lined up with old Dutch and Portuguese settlements and has a perfect blend of histories across different timelines. 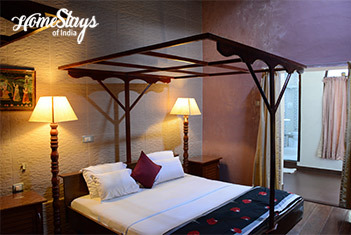 The essence of the place lies in its beautiful medley of cultures. You will find a hint of Malayalee, Anglo-Indian and European flavors. The antique shops and the art cafes are a nice blend of tradition and the contemporary. Spend a laid back day or two in Fort Kochi. Dig into the history, and walk around the beach and Chinese fishing nets. End the day with a classical dance performance. 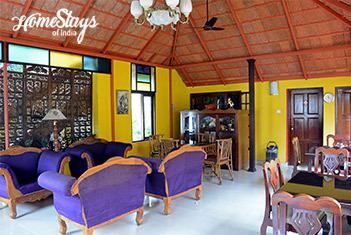 The home is situated at the heart of the Heritage Zone, Fort Kochi. 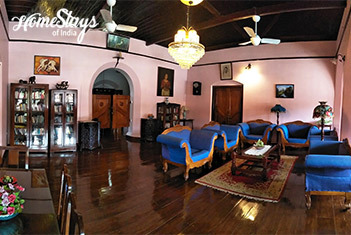 The house was built during the Dutch rule, later renovated by the British into a rambling mansion, completed in Teak wood ambiance reflecting colonial rule and our chequered history. Presently there are two parts of the house. One is modern and the other is heritage. Modern is built on three levels around an inner courtyard. Every room opens in a colonial style common place. Heritage sectioned is kept as it was made centuries before. 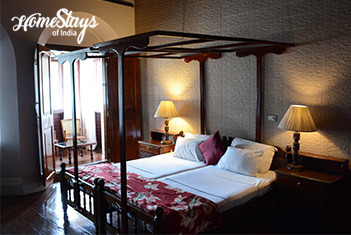 The rooms are spacious and complimented with teak wood floor and ceiling, attached bathrooms with running hot water, bath tubs and toiletries. 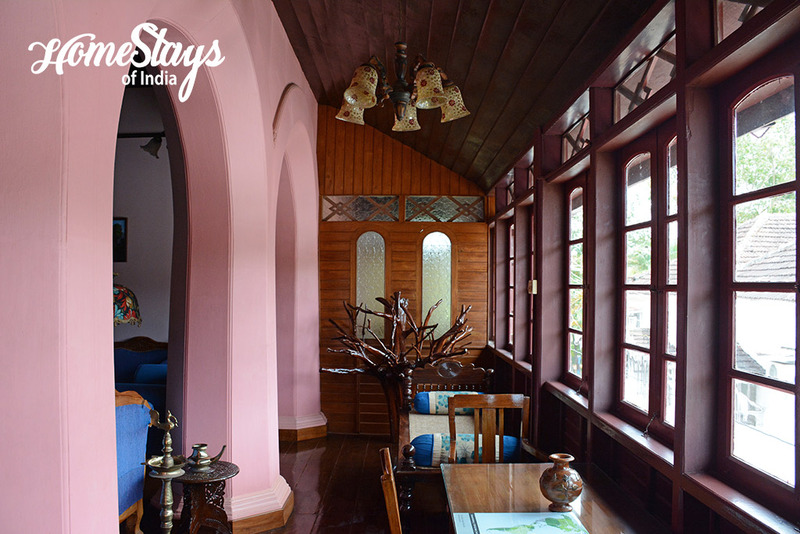 Every room is air conditioned and has its own charm. A beautifully done common roof top garden is open for guests round the clock where you can read a book, listen to music or just relax. 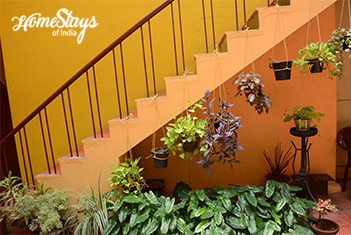 You will be welcomed by a warm, hospitable couple Abraham Mathew and Asha. They are very kind hearted and helpful people. 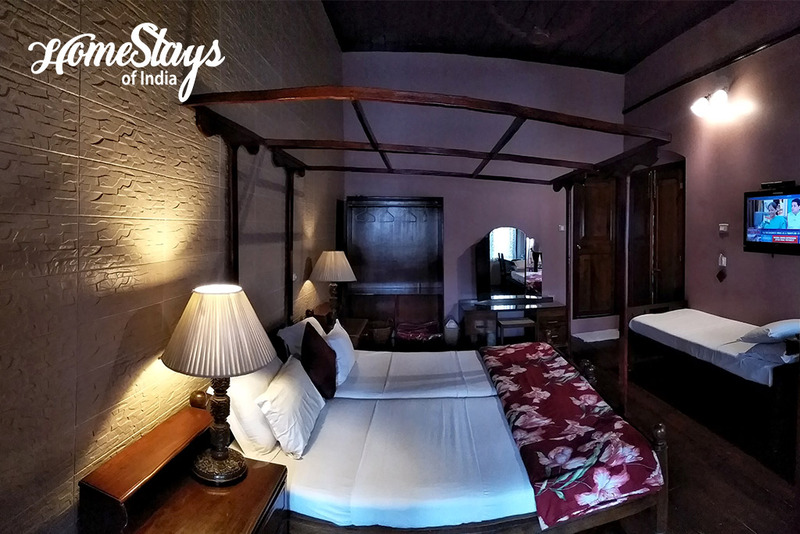 Being the residents of Fort Kochi for ages, they know the place inside out and can give great inputs on what all to do during your visit to Fort Kochi. Since Fort Kochi is a very small place and there are many good options to eat out, we serve breakfast and tea only. Indian and Continental options are available. 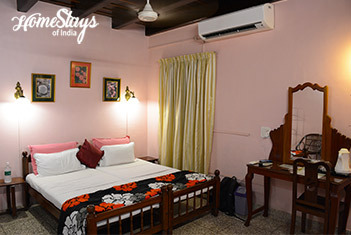 Wi-Fi • Running Hot Water • Laundry • Room Heater • Terrace Garden • Lounge and Dining Room • Doctor on Call • Round-the-clock attendants • Travel desk.